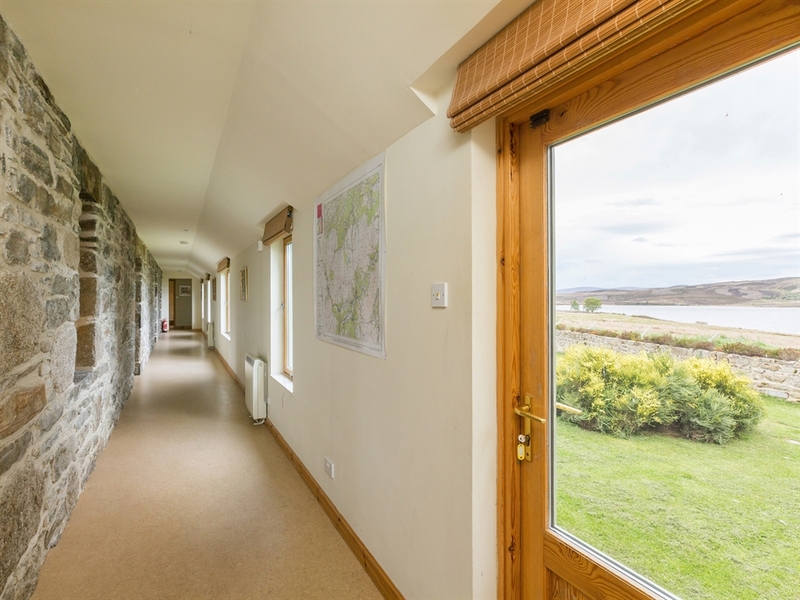 Tirriemore provides a peaceful holiday, a sense of complete isolation, whilst surrounded by the beauty of moorland and highland loch. 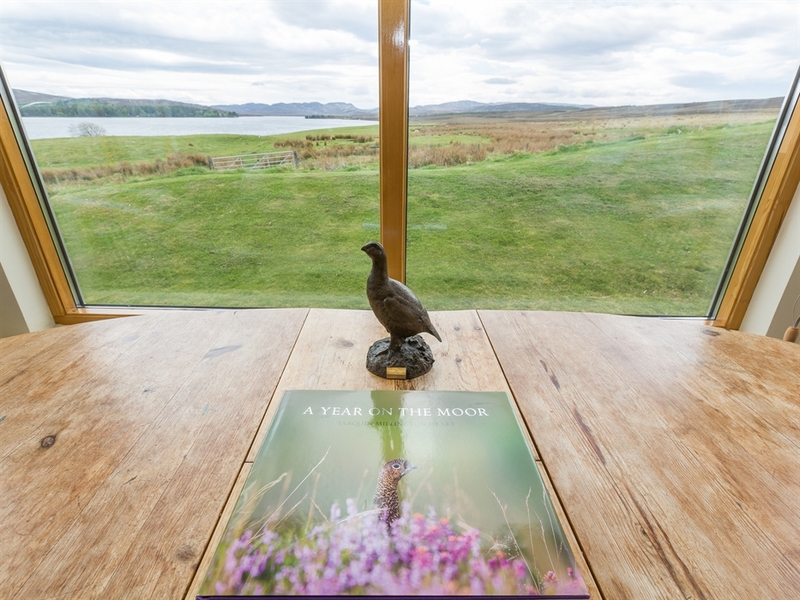 It is not often one can have such a sense of complete isolation, peace and tranquility whilst surrounded by the beauty of moorland and highland loch but Tirriemore provides all this and more. 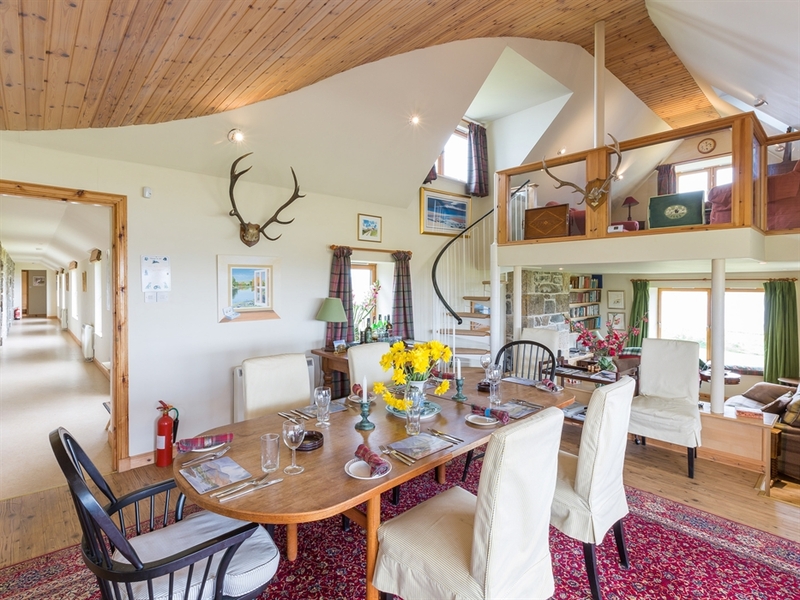 This wonderful holiday house is absolutely unique and very special; situated on the north side of Lochindorb in the centre of the Highlands of Scotland, it has fantastic views over the loch with its island and ruined castle, and over the grouse moors to the Cairngorms beyond. 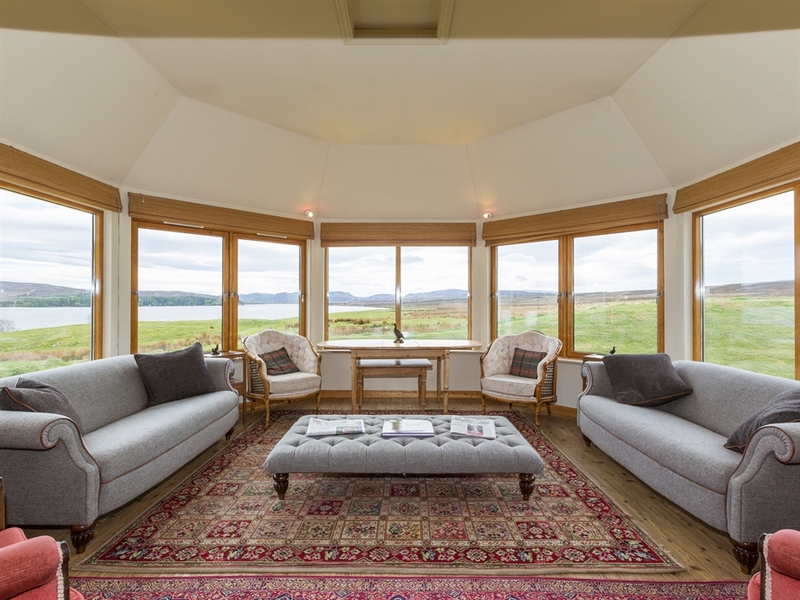 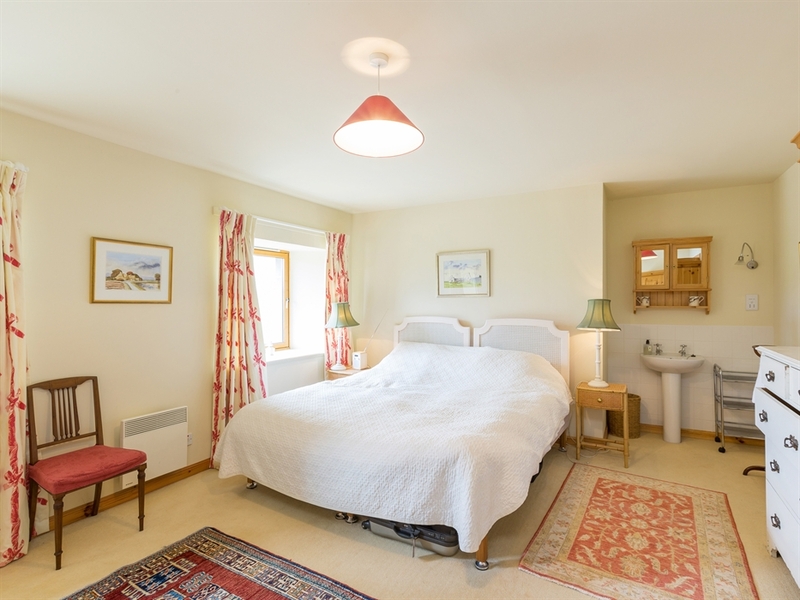 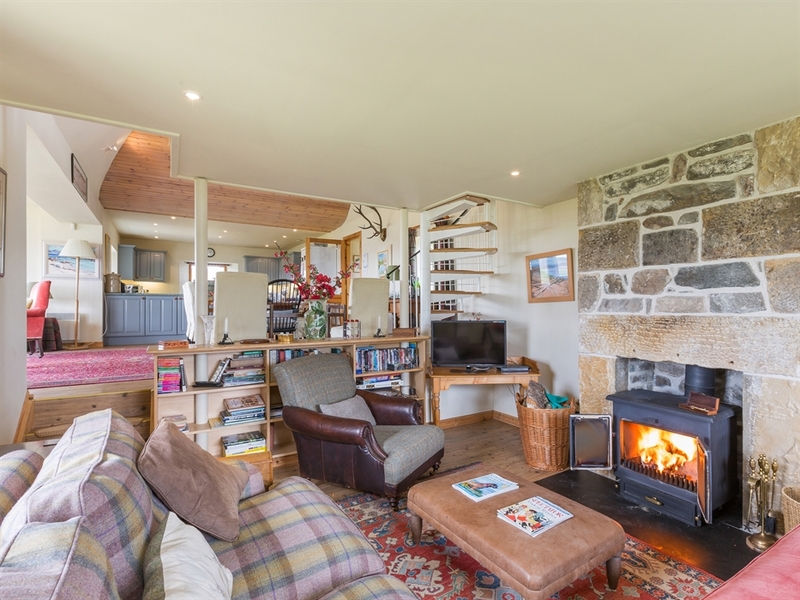 The steading has been imaginatively restored to provide outstanding and flexible accommodation with a fantastic living area which maximises on the spectacular views. 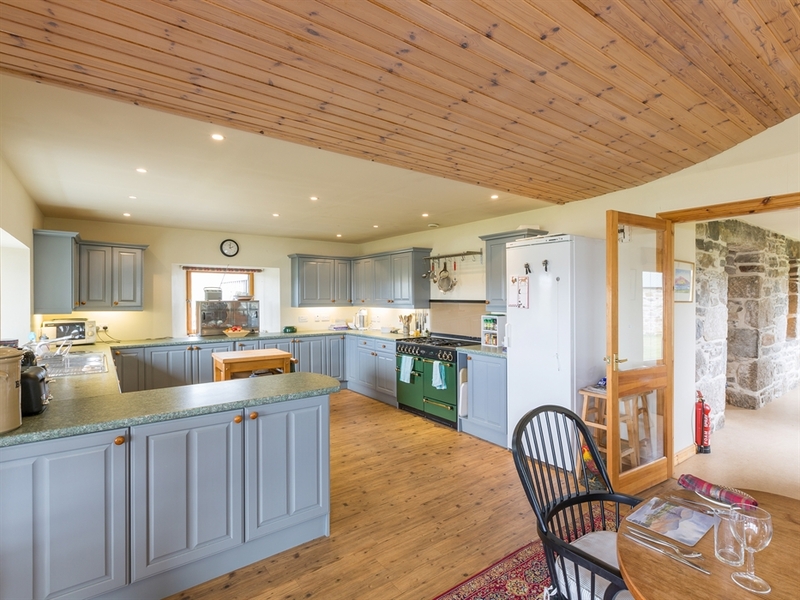 There is a large fully equipped kitchen area, a dining area with large table, ideal for relaxed dining, and a fantastic seating area where guests can sit and admire the scenery. 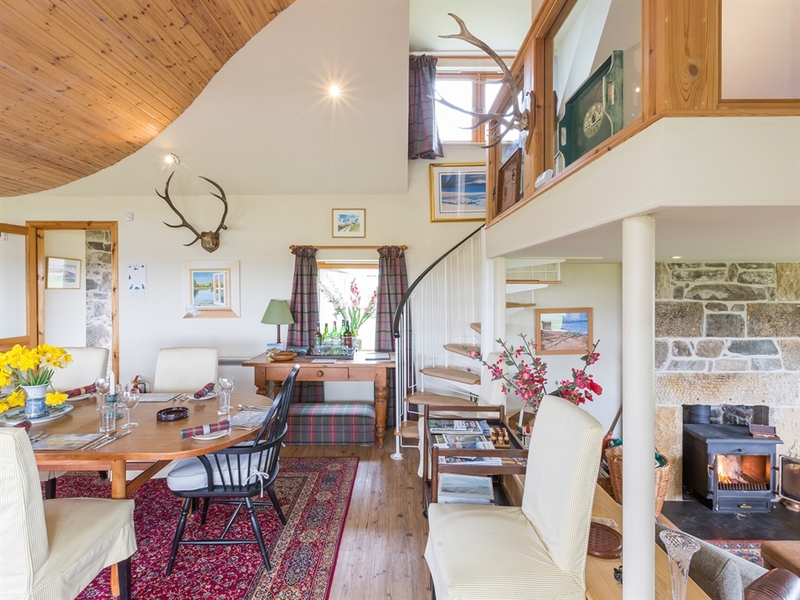 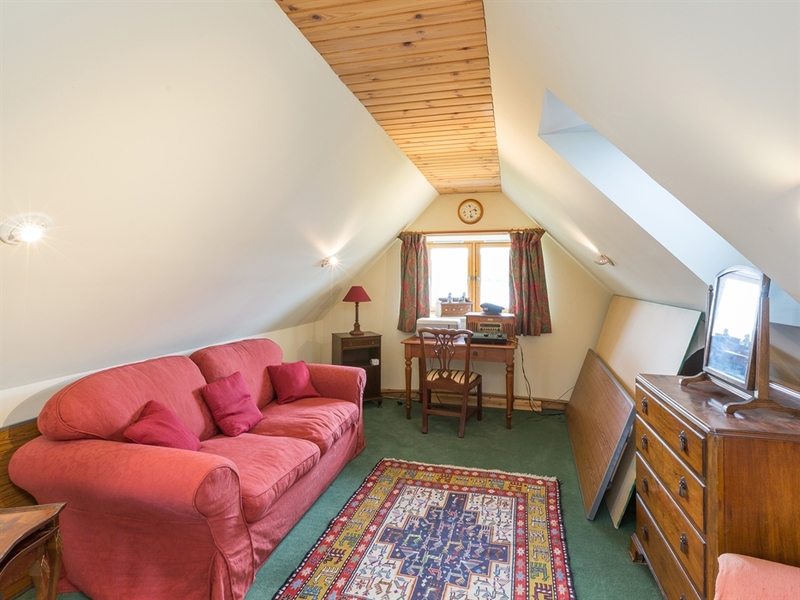 A couple of steps leads down to a snug area with comfortable sofas and a wood burning stove, whilst the gallery is reached by a spiral staircase and provides more seating with a useful sofa bed. 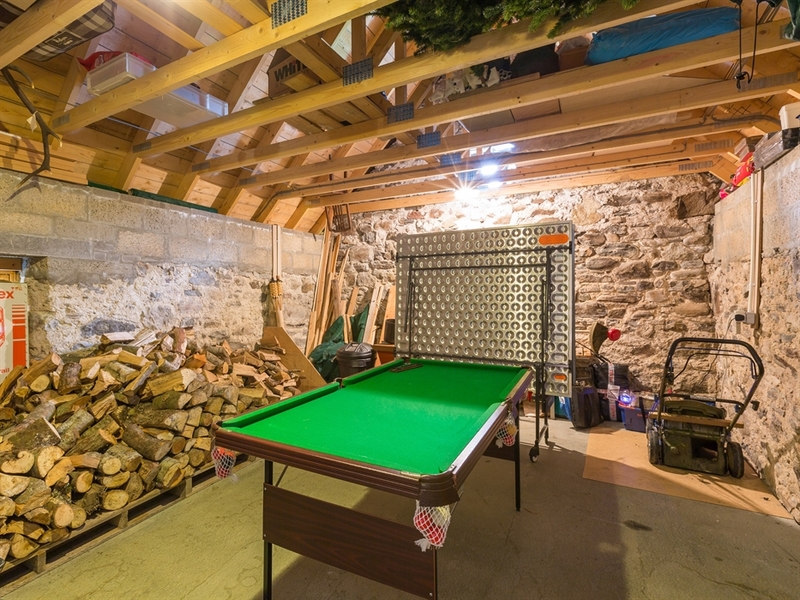 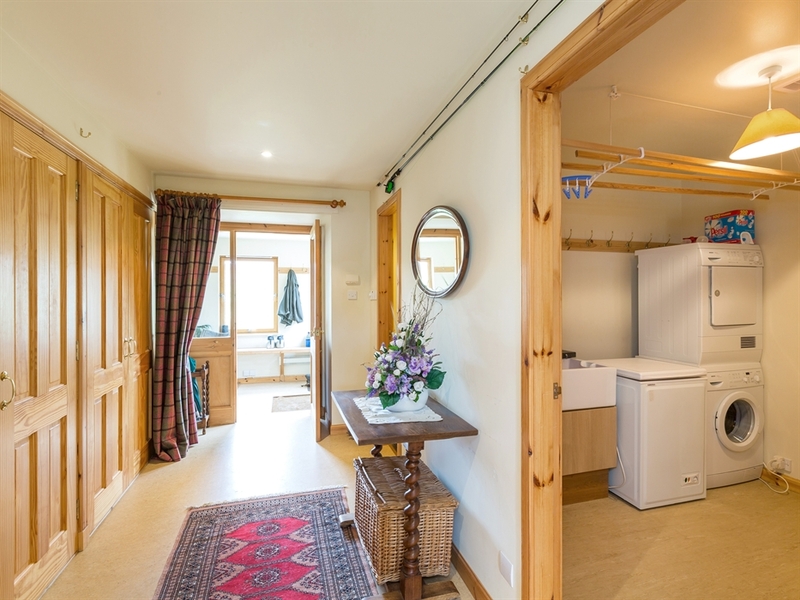 The three comfortable bedrooms are spacious and bright and in the end wing is a large room with an additional twin bedroom with basin curtained off, and also a ping pong table, miniature snooker table, garden furniture and the spare log store. 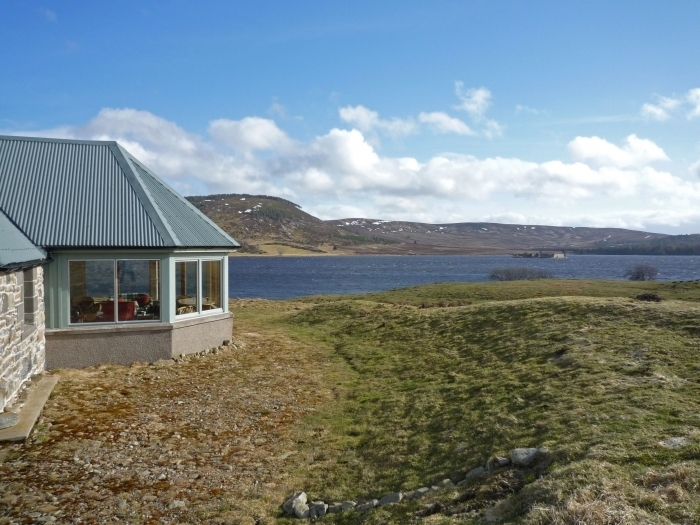 This is a wonderful area of Scotland no matter what your interests are. 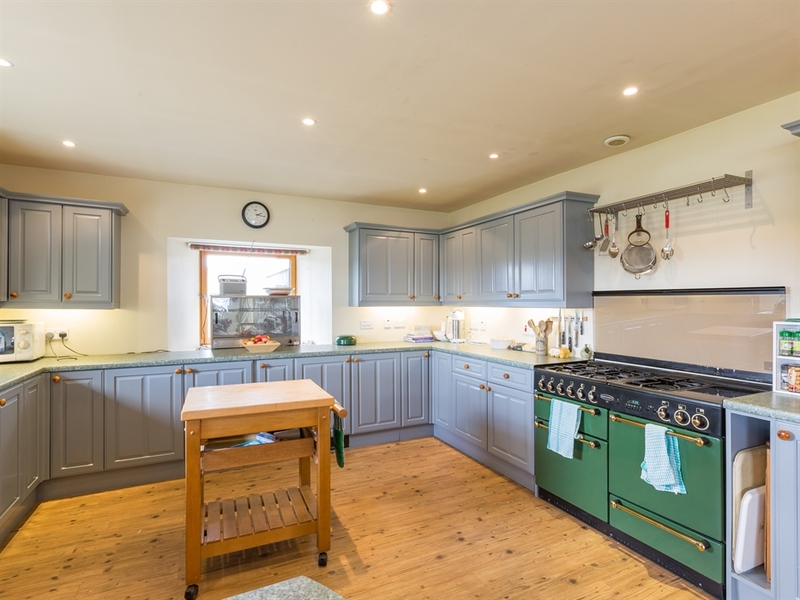 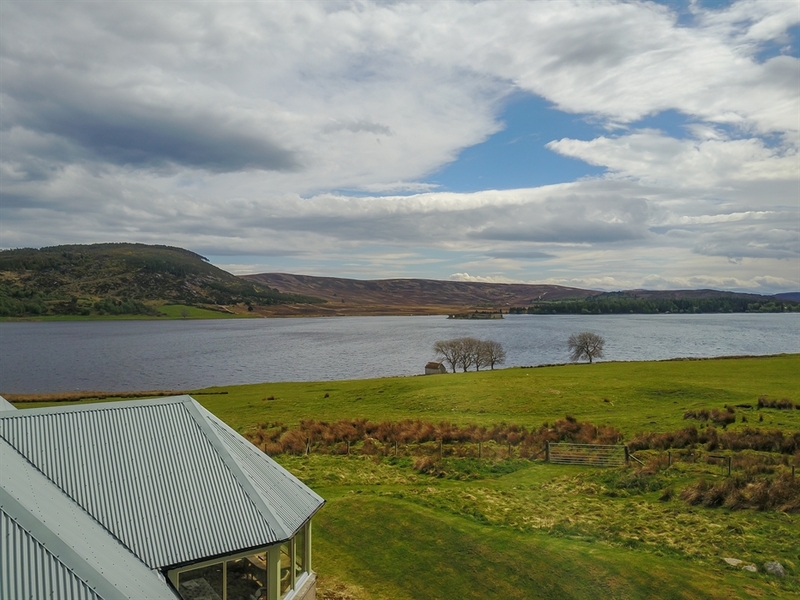 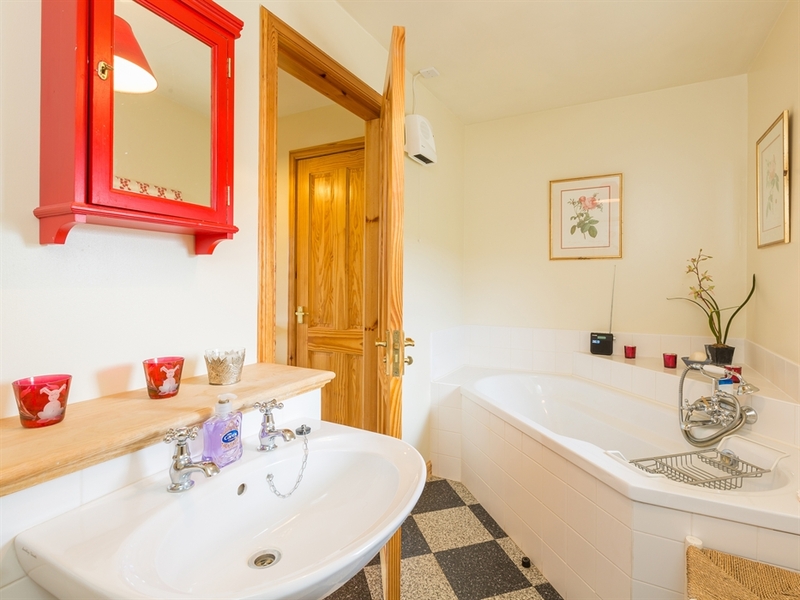 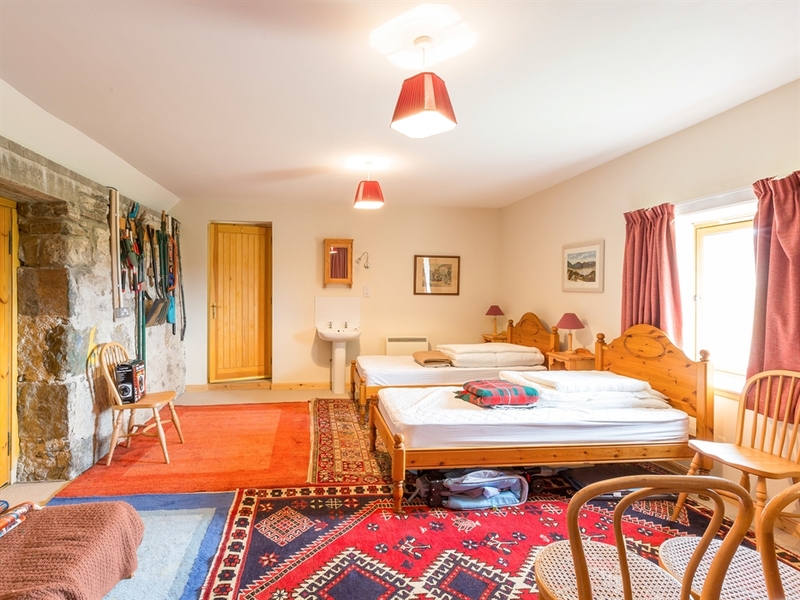 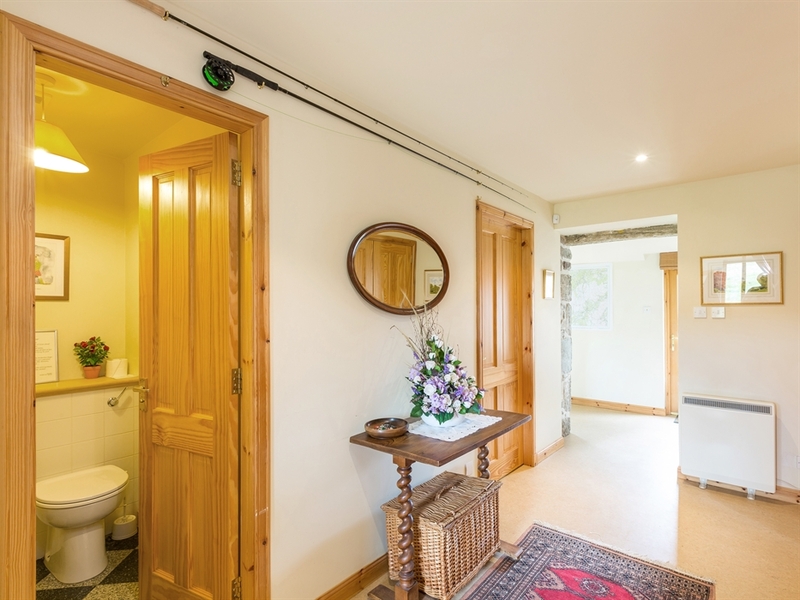 The house itself is surrounded by grouse moor and with the River Spey close by, not to mention brown trout fishing on the doorstep in Lochindorb itself, sportsmen will love this house. 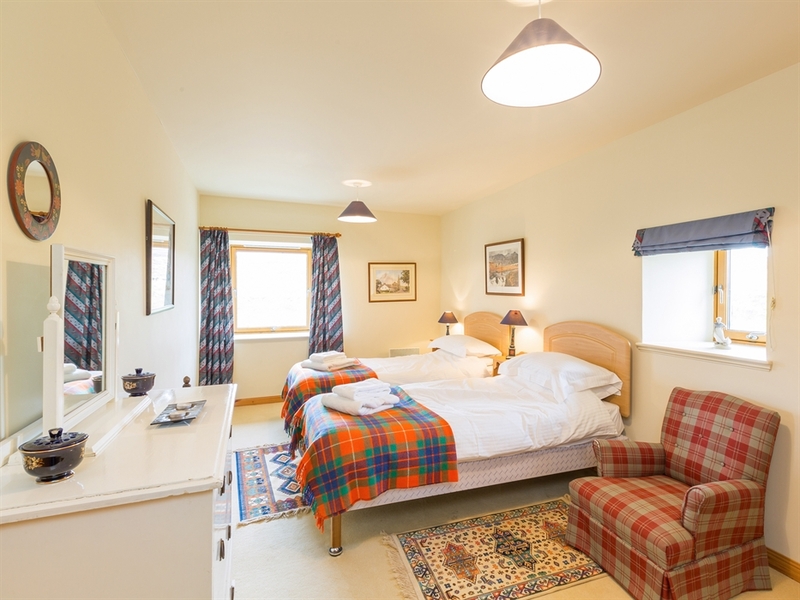 In addition to the ruined Wolf of Badenoch’s Castle on the loch, there are lots in the area for those who have an historical interest including Ballindalloch Castle, The National Trust for Scotland’s Brodie Castle and Cawdor Castle, in addition to numerous Pictish sites. 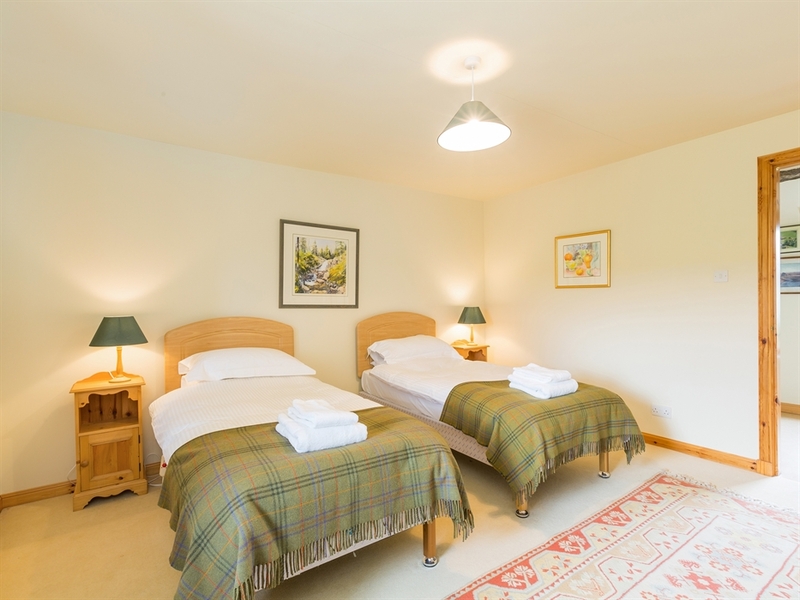 The more energetic can enjoy the many picturesque walks ranging from the high peaks of the Cairngorms to strolls along pretty river banks, and golfers can test their skills on the numerous first class courses in the area. 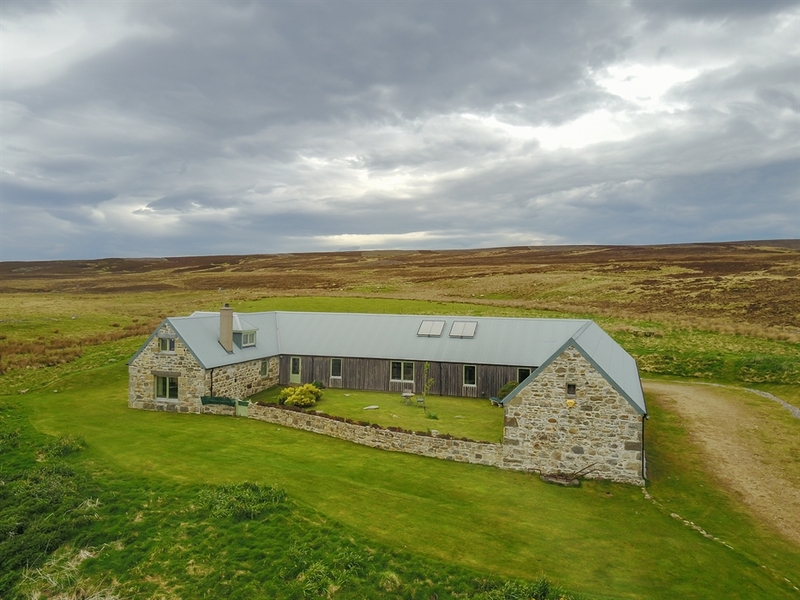 There are distilleries to visit, beaches to stroll along, snow sports, water sports and horse riding to be enjoyed and wonderful countryside to be explored, but nothing compares with the sound of the lapwings, the smell of warm heather and the total calm and tranquility to be enjoyed sitting in the garden of this wonderful house. 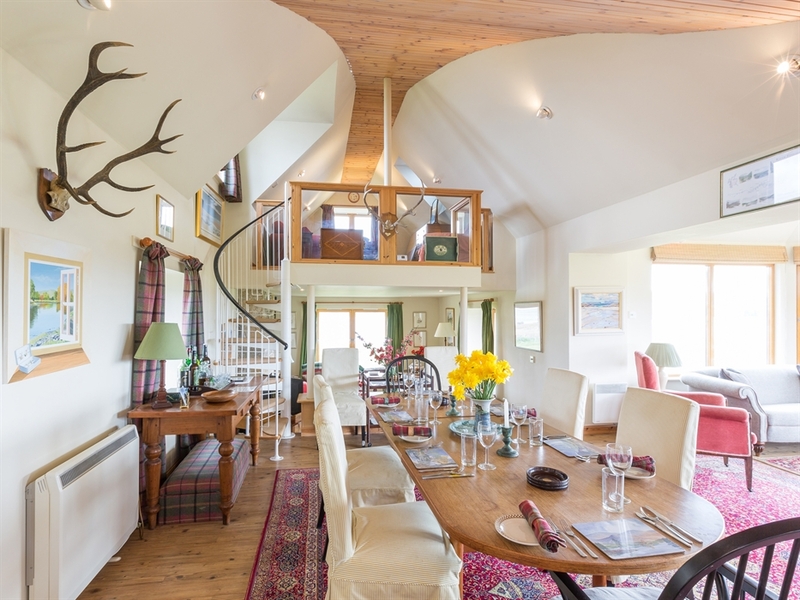 Tirriemore provides the most perfect self catering holiday accommodation to explore the wonderful Highlands of Scotland. 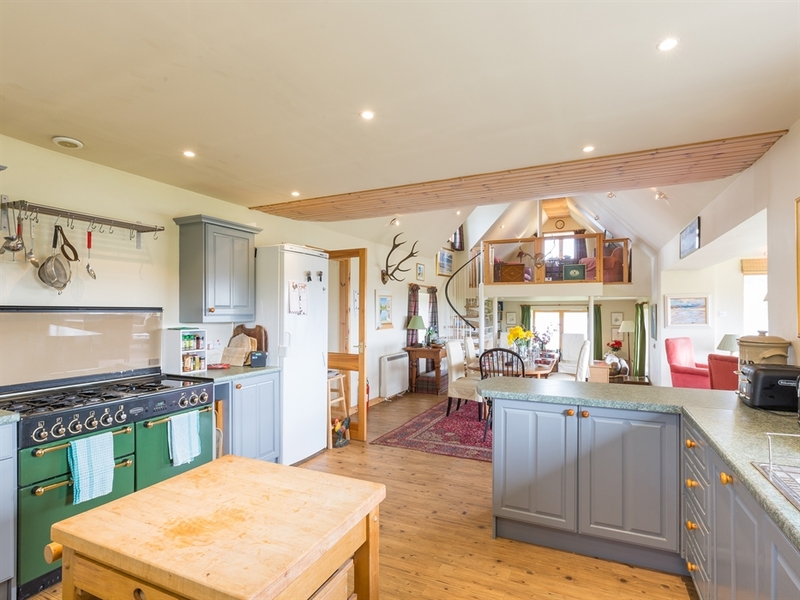 Open plan living area with large well equipped kitchen, dining and seating area with extensive views, (3 steps down to) snug area with TV and wood burning stove and spiral stair case to gallery with sofa bed. 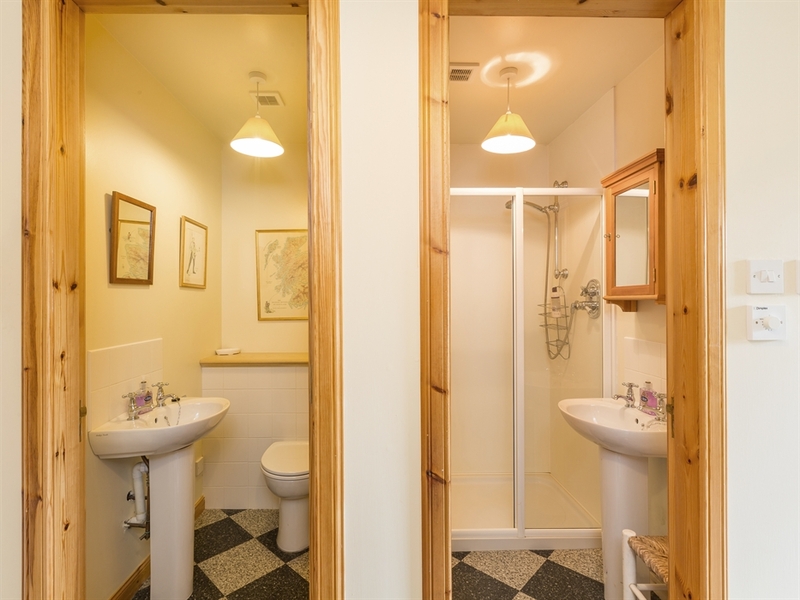 Double bedroom with WHB, two twin bedrooms with WHB, bathroom with bath with shower attachment, WHB and WC, shower room and separate two WCs with WHB, utility room, large attached bothy with twin bedroom and WHB curtained off from games area suitable for overflow from main house.